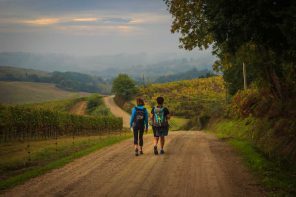 Sometimes the quest for one particular experience leads to multiple, unexpected lessons and riches. Rediscovering the history of Delhi Sultanate was one such multi-layered pursuit of the bygone era, culture and gastronomy. While researching for the story, I walked through time from the fourteenth century Fort city of Tughlaqabad to savouring the spice trail of the 17th century Shahjahanabad. 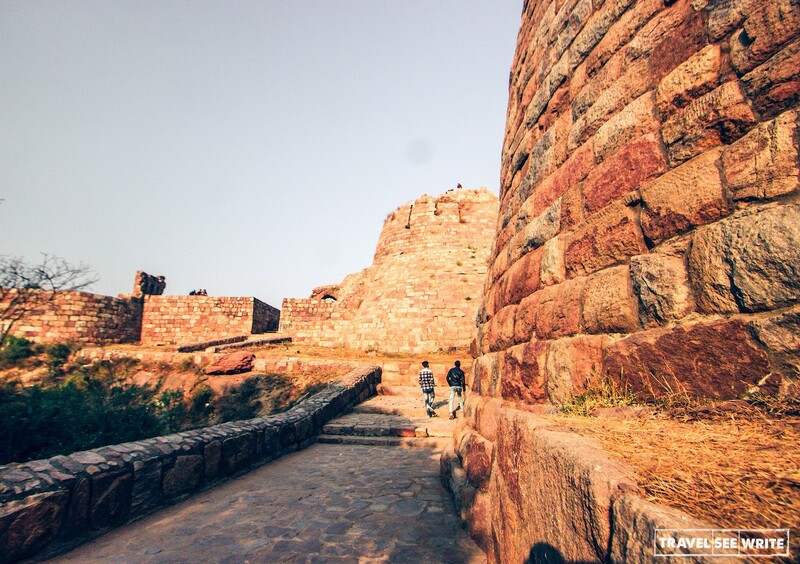 For years, Tughlaqabad Fort had been at the top of my ‘Places to visit in Delhi’ list, but somehow, I kept missing it. However, it finally happened on a soothing winter morning. I decided to give my Gobhi ka parantha (Cauliflower bread) and adrak waali chai (ginger tea) a miss to explore the ruins of the imposing Tughlaqabad Fort. 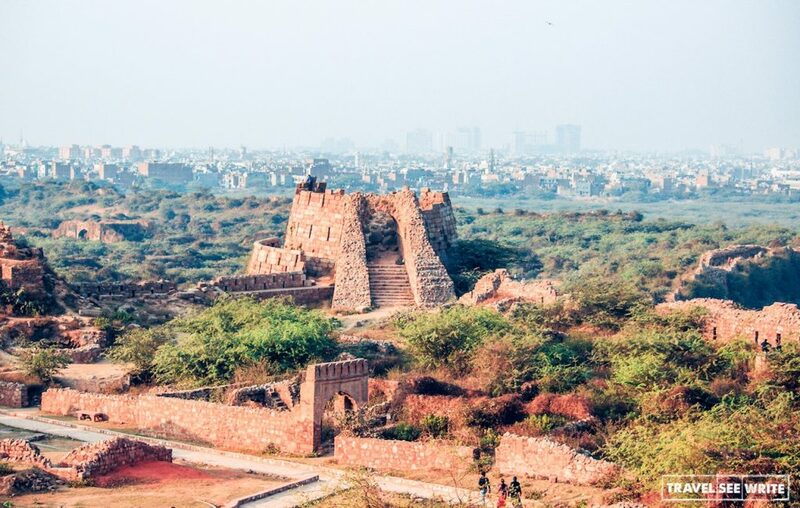 A fortified city, which was a dream of Ghiyasuddin Tughlaq, the first ruler of the Tughlaq dynasty. At 7:30 am, along with my historian guide, Kanika, I walked into the gigantic stone structure, with sandstone walls stretching up to 10-15 metres high. Despite being reduced to a tumble-jumble of intricate fortress walls and bastions, the massive, formidable structure with sloping walls and archways spoke highly of the architectural skill of that era. It was built in a short period of four years (1321-25) as a stronghold against the marauding Mongol attacks. The 6-km long irregular rectangular Fort has two parts – the citadel and palaces on the southern side and the city on the Northern side. Merciless winds of change, weather fury, enemy attacks and unruly encroachment might have killed the city portion but the citadel and the walls of palaces are still intact, silently retelling the stories of the past. I spent a few hours strolling through the ruins frozen in time imagining how life would have been when it was abuzz with life. My chain of thoughts was broken when Kanika, my historian guide, narrated a legend associated with the Fort. 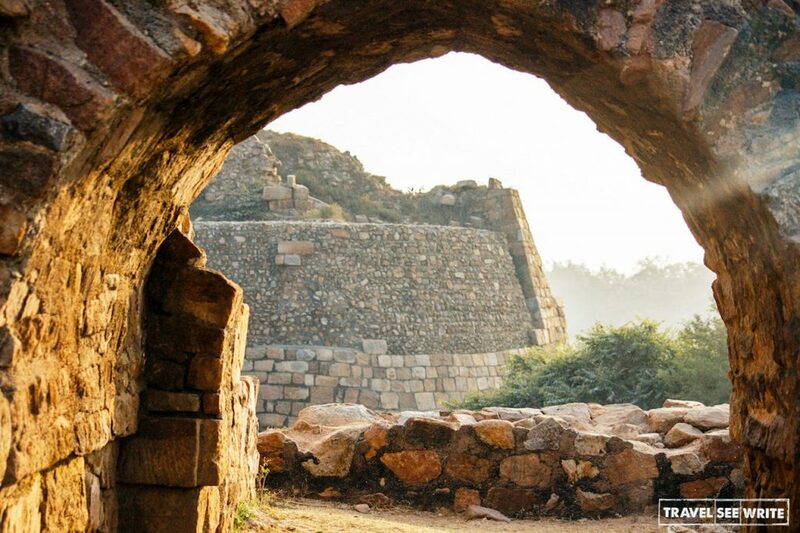 Ghiyasuddin Tughlaq had made it mandatory for all the workers in Delhi to be employed in the construction of his fort. But at the same time, the Sufi saint Nizamuddin Auliya was building a baoli (step-well). The baoli work of Nizzamuddin stopped midway as there was no labourer available in the city. An angry Nizamuddin cursed Tughlaqabad: Ya base Gujar, ya rahe ujar (May this be inhabited by herdsmen or remain unoccupied). What we see here is just half part of the Tughalaq jigsaw puzzle. The remaining pieces are hidden in Daulatabad. Until then I didn’t even know a place like Daulatabad existed. I was intrigued to find out more. 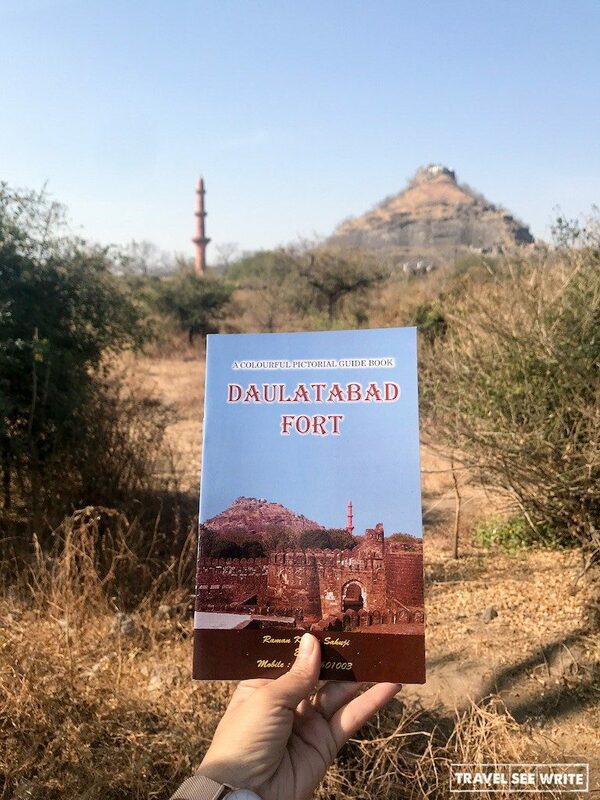 And, as luck would have it, in February 2018 I got to visit Daulatabad Fort, thanks to ‘India blog Train’ initiative by Incredible India. I was on a seven-day train journey on Deccan Odyssey exploring the offbeat splendour of Maharashtra and Goa. 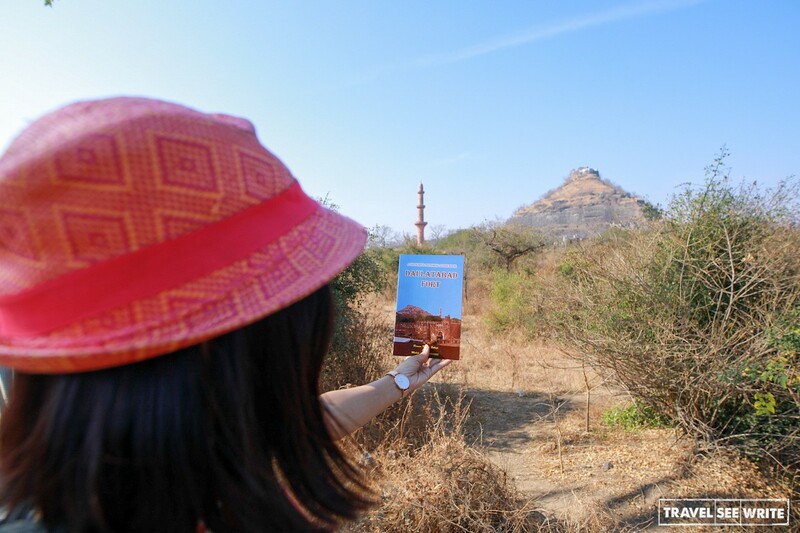 On my third day, I visited Daulatabad where the missing parts of the Tughlaqabad jigsaw puzzle came together. 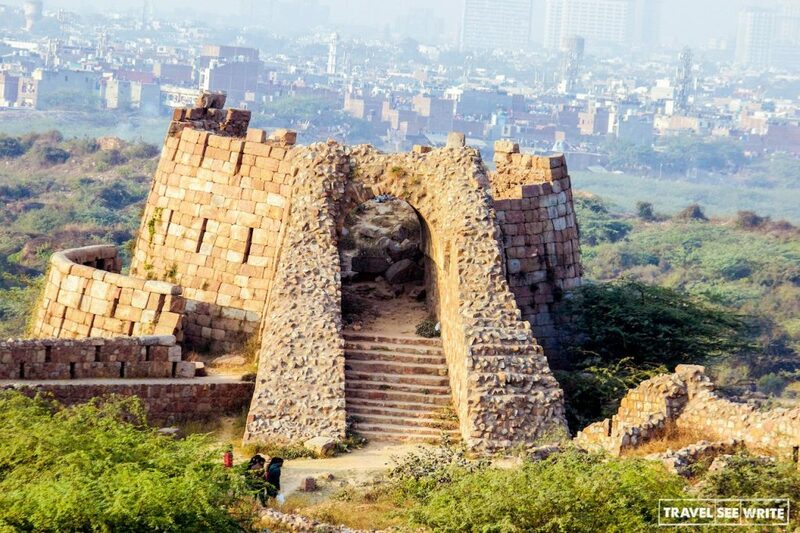 In 1327, Muhammad bin Tughlaq, the son of Ghiyasuddin Tughlaq, decides to shift the capital from Delhi to Devagiri (which he renamed Daulatabad), 1242 kilometres to the south in Aurangabad District. The reason to shift was its central location ideal to rule entire India while being safe from the incessant Mongol attacks. What seemed like a perfect plan on paper was a non-starter. Daulatabad had water scarcity and the people suffered severely. After eight years, the Sultan realised his mistake and the capital was again moved back to Delhi. But neither the city nor its people could recover from this uprooting. Also, he did not return to the abandoned Tughlakabad as he was convinced it was a cursed city. He built and moved to a new township called Jahanpanah. Finally, I was able to decode the story of the ‘rise and fall of Tughlaqabad’. However, another important chapter of the history of Delhi Sultanate was still left untouched. After unravelling the mystery of the rise and fall of the Tughlakabad, it was the turn of finding the roots of Chaat culture in the Old Delhi founded as Shahjahanabad in 1638. My countless trips to Delhi 6 in search of good food has made me a pro in navigating through the labyrinth of haphazard maze of narrow streets crammed with cars, hawkers, motorcycles, rickshaws and porters. However, this time I am here on a mission to find the origins of the Chatapata Food culture that has graced the halls of Mughal Darbar to Lakshmi Mittal’s daughter wedding. At 10:45 am, I met Shikha of Food Tour in Delhi at the Chawri Bazar Metro Station. She had already warned me a day in advance to come empty stomach as we would be tasting at least 14-17 dishes from 7-9 food joints in 4 Hours of the food tour. After walking for a few minutes, we reached Shyam Sweets, a 118 years old Indian snack shop that claims to have served since Mughal Darbar times and where Jawahar Lal Nehru was a regular. Standing at an open-air eatery around a small round table, Shikha ordered Bedmi & Kachori (lentils & peas) with potato curry, Nagori halwa (crispy puri made with semolina and paired with semolina sweet), Samosa and Sweet Lassi for us. Never judge any dish without taking three bites. In the first bite, only salty senses are activated, in the second tangy senses get active and in the last one the chilly hits you. Our ancestors knew how to harness this knowledge by coming up with combos like Bedmi & Kachori, samosa and chutni to make the flavours work better together. 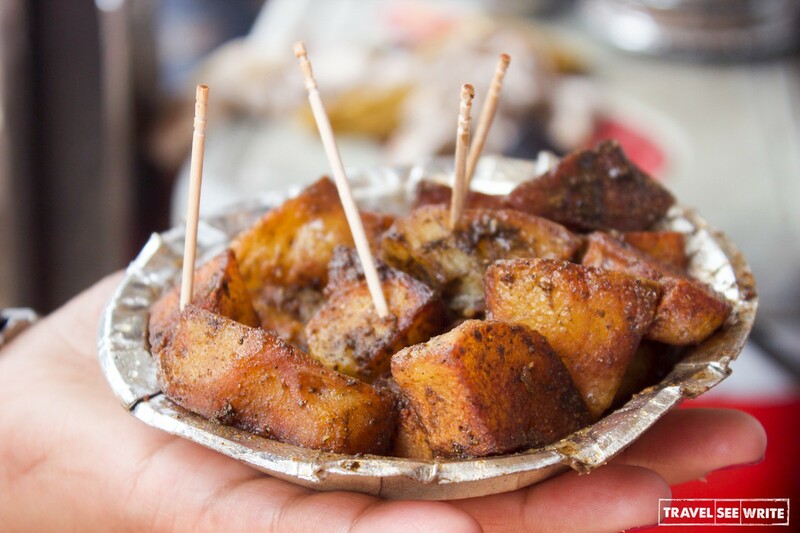 During the rest of the tour through Chawri Bazar, Chandni Chowk, Spice Market, Kucha Pati Ram and Kinari Bazar, I religiously followed the rule of ‘Three Bites’ and enjoy my food a lot more. We listened to the back stories of flavours and food from each hole-in-a-wall outlet we visited. The tales sounded better when we gobbled down delish street food like Fruit Sandwich, Bread Pakora, Kulhe (watermelon) ki Chaat and Alloo Chaat, Rocket Chickpea curry with kachori, Pomegranate & saffron pistachio Kulfi, Cholla (Chickpea curry) with bhatura & kulcha cooked in old and new styles, Rasmalai, Rajma Chawal and flavoured Rose Almond Lassi. While there are many theories, it is believed Chaat was created in the royal kitchen of Mughal emperor Shahjahan’s palace. In those days, the Yamuna water was not safe for drinking. The royal Hakim (emperor’s doctor) instructed to kill the effects of unsafe water by consuming food which was very spicy and oily but light on stomach. 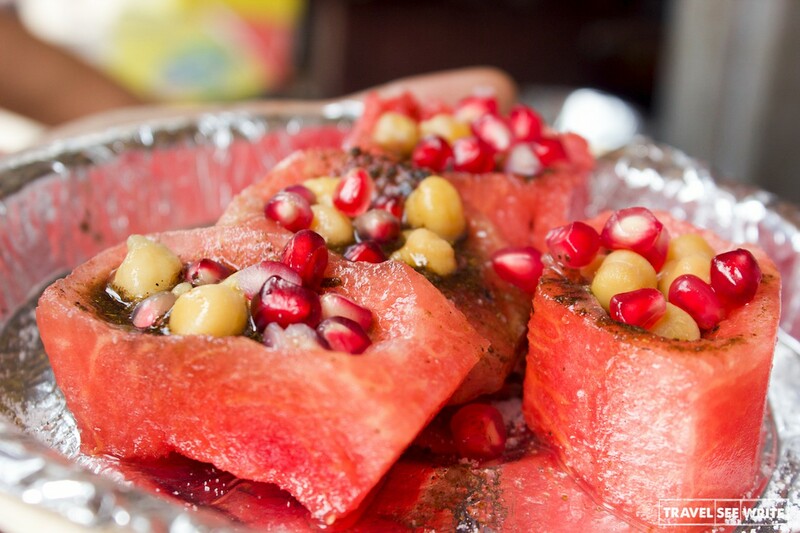 This marked the advent of Chatpata food culture in Delhi! 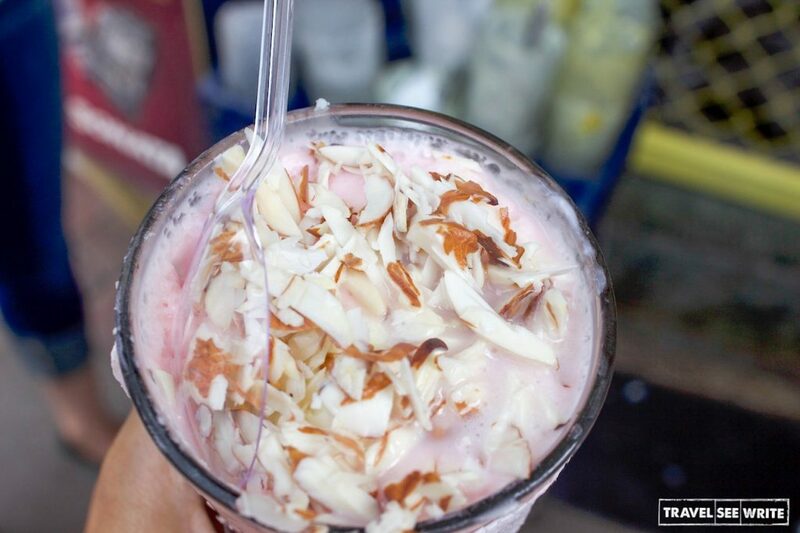 After four hours of immersion in the frenzy of Shahajahanabad’s colours, vivacity and irresistible charm my trip has come to an end but not before I gulped down a Patiala glass of Almond Rose Lassi at Amratsari Lassiwale in Chandi Chowk. Hope you enjoyed learning about the history of Delhi Sultanate as much as I did exploring it. If you want to know more about the cities of Delhi, I highly recommend reading ‘City of Djinns’ by William Dalrymple or read Eight Cities of Delhi. 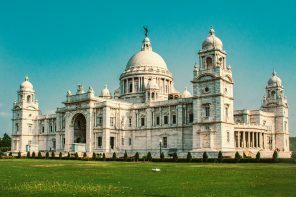 Have you been to the twin cities of Delhi or Dualatabad? If yes, please do share your feedback in the comments section below. 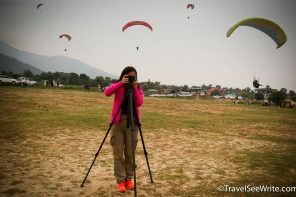 Please don’t forget to read my detailed posts on my #IndiaBlogTrain journey with Incredible Indiaand The Deccan Odyssey. Why women in Kolhapur are learning an ancient Indian martial art? 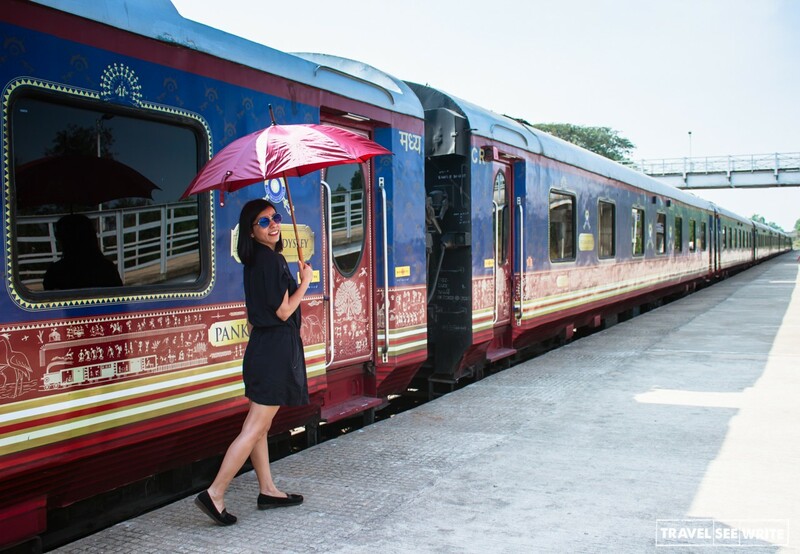 I was invited on the #IndiaBlogTrain journey organised by Incredible India in Feb 2018 ON 4 luxury trains – Palace On Wheels, Deccan Odyssey, Golden Chariot and Maharaja’s Express, that took 60 bloggers on a 7N/8D journey across India’s finest historical destinations spread across Delhi, Goa, Karnataka, Madhya Pradesh, Maharashtra, Rajasthan and Uttar Pradesh. I got a chance to experience the Maharashtra Splendor train route on The Deccan Odyssey It was a voyage that I’d treasure forever. Everything expressed above is based on my personal experiences during my visit. Images used are shot by me. Please do not copy anything without written permission. India is such a fascinating country. I have been to Delhi but looks like I may have to return and check these places of history out. What an interesting post! It’s always so interesting to learn more about the history. Fascinating history. You know that I will require your guiding services to show me around India! 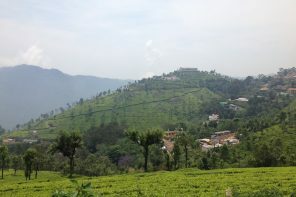 Oh wow, India fascinates me and I would love to travel there someday. I loved reading this and learning more about history! I love everything about this post! I knew I would, because anything with the word “history” in it grabs my attention, as I’m a history teacher. 🙂 What a beautiful part of the world! And you took beautiful photos. The fort looks especially fascinating to me. Great article and excellent photos. Thank you for sharing the history, it was interesting to learn more about this region of Delhi. The Food Tour – 14 – 17 dishes, that is a lot, probably te most I have ever heard of being presented in a Food Tour. 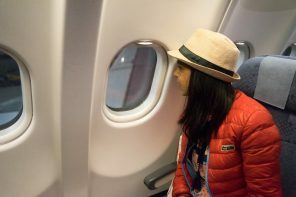 I would have enjoyed it, food tours are one of my favourite things to do when travelling. This was such an informative post. I loved reading about the fort even though I have to admit, I had never heard of it before this. I did follow some of the bloggers who were at the blog train and it seemed like trip these people will never forget. wow, it is incredible that you were able to go on those fab train journeys.. I keep thinking we should try them out sometime during visits to India. The colors in the photos of the fortress are so gorgeous! Im’ interested in the cauliflower bread you mention-is it a wheat bread + cauliflower recipe or just cauliflower? 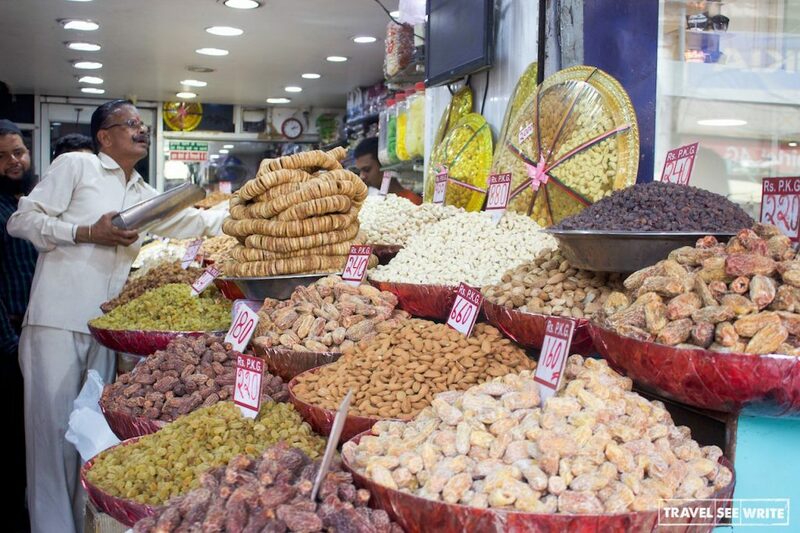 also the markets and spices look fantastic-this is really a favorite part for me of any travel-getting to see both ancient history and then connecting with a culture through the food and the smells and tastes! You are fortunate to have this experience. Thank you for this very informative post. I must admit, History was not one of my favorite subjects in school, but now as an adult, I am totally fascinated with it. India has such a rich culture and history, it makes me want to visit it someday! I am always intrigued by the historic past of Delhi. My visit to Delhi is usually a pitstop before going on to another destination. I try to explore Delhi in that little time, but I realise Delhi deserves much more. Loved reading about the history of Delhi Sultanate and also your culinary trails. Having lived in Delhi all my life, it is incredible to see people discover it’s ancient past as well as the city’s cultural ethos. The photos are amazing, and I like that you have included food because that’s one thing we Delhiites love and are proud of. If you are ever in the city, and if not already seen, head out to Mehrauli and its Archaeological Park for another step back in time. 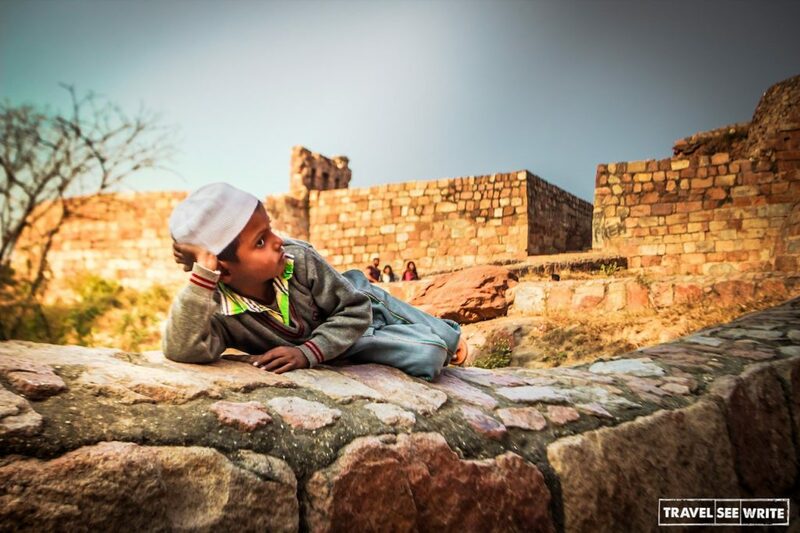 Remember, I had explored Tughlaqabad fort with you. Having lived in Maharashtra for 7 years, I have been to Daulatabad Fort too on the way to Ellora caves. Both the forts were impressive. You have shared some interesting facts about both. You are right, Tughlaqabad fort is best enjoyed in winters. The maintenance of the fort is very good but I wish there was better security though! The ruins of the fort is so massive. It must be so nice to explore such historical sites. Thanks for the information you provided in this post. I would love to get on that blog train sometime too. Thank you for letting me learn about this amazing corner of the world. Moreover, when I read about travel, culture and history I always feel like packaging and leaving soon again. I’ve never been in India, so I’m making a list of places I should visit when I go there. Delhi is of course on my list, but I haven’t heard about the Tughlaqabad Fort yet. Quite an interesting history. 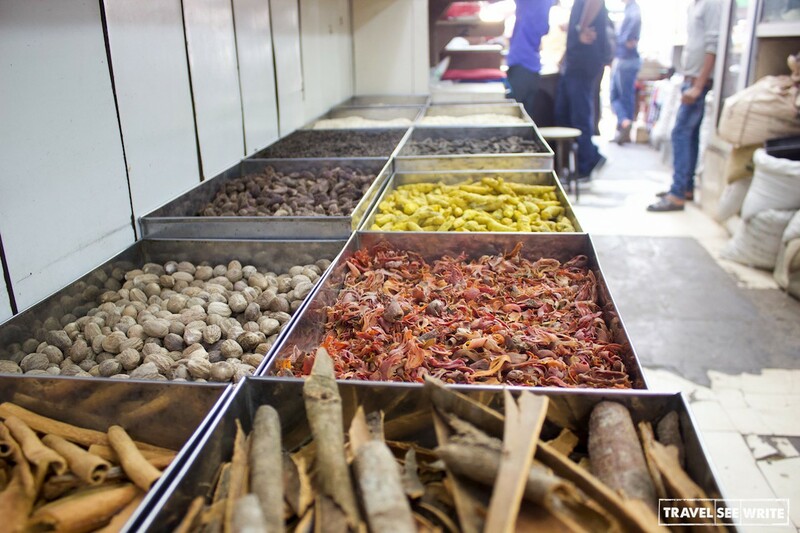 I’d love to visit this place someday and hopefully tour the spice markets too. Besides enjoying your beautiful pictures, I have learned so much in your post today. Thanks for sharing. This is good to know. I had no idea about the history of Delhi Sultanate. Thank you for sharing about it and happy to learn something new today. P.S. 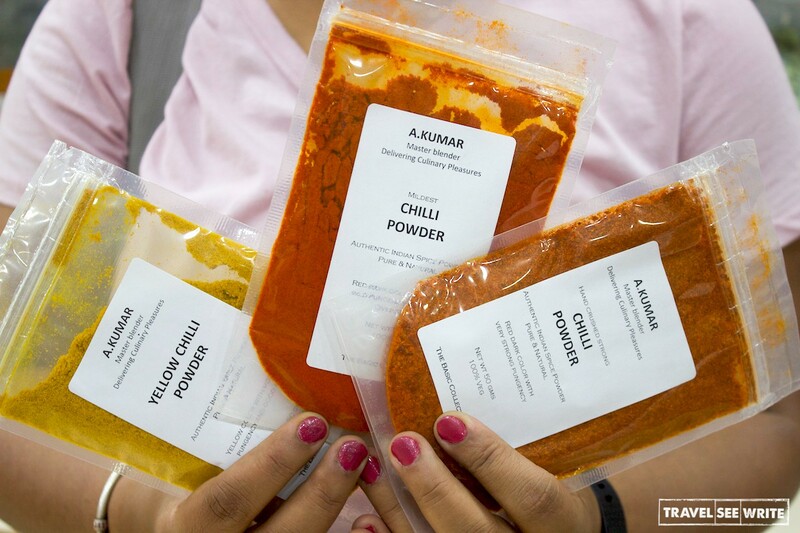 I would love to try all the types of chilli powder. Beautiful. I love the look of that train too. So much history in India. I have always been captivated by the Indian culture and its great to know the history of Delhi Sultanate. Such an amazing place to visit. I would definitely enjoy a food tour like and check out all the fascinating attractions, I love the colors of the local architecture so beautiful and colorful to see. Great photo of the kid on the wall looks like something you’d see in National Geographic. Interesting – did the curse work or just the threat of the curse? Enjoyed your photos of the food tour. Delhi is a true marvel. 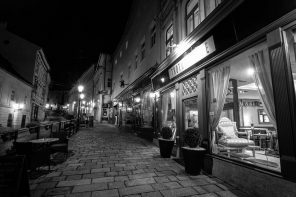 As locals, we are always discovering ancient parts of this fascinating city every now and then. 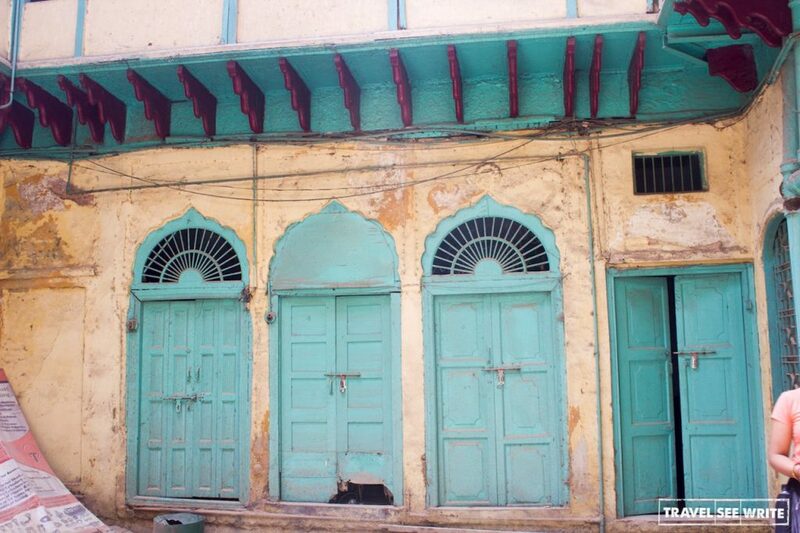 Thankfully, we have endless walking tours available now to many historic parts of the city, including Shahjahanabad and Tughlakabad. Loved the history inputs to this, very important because we tend to forget. I am tempted to have this experience because of the food pics. I love the history that’s hidden in India. The story of the Delhi sultanate is so fascinating. 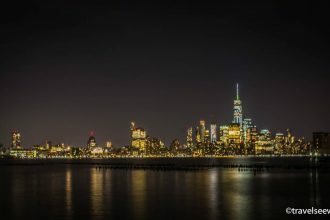 It’s easy to forget how old the country is and how unique each state and city is.